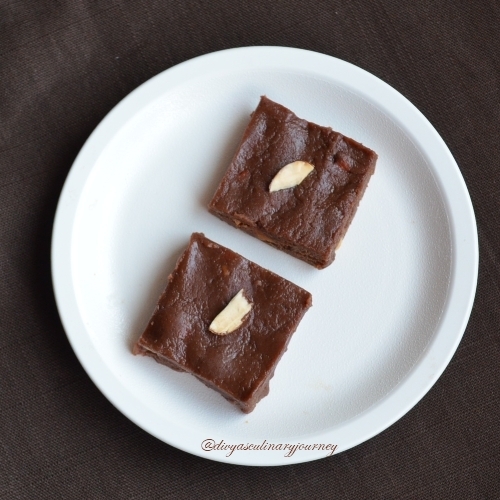 Delicious chocolate almond burfi Divya. Superb idea! Surely it tastes great. Will try to make this. Bookmarked! 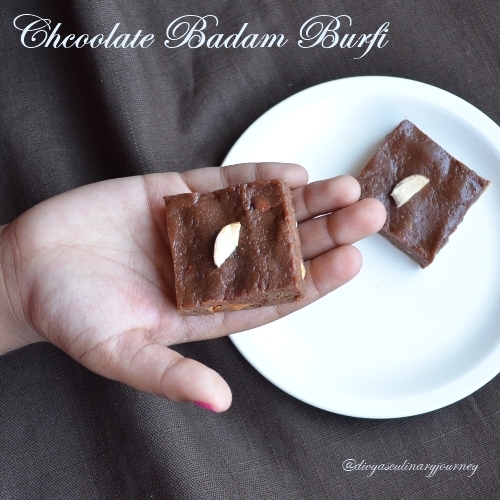 Excellent and irresistible fudge, its really wonderful to get help from those little hands na, no doubt you are having an another chef at home Divya..Kudos to her. Thanks for sharing Divya! 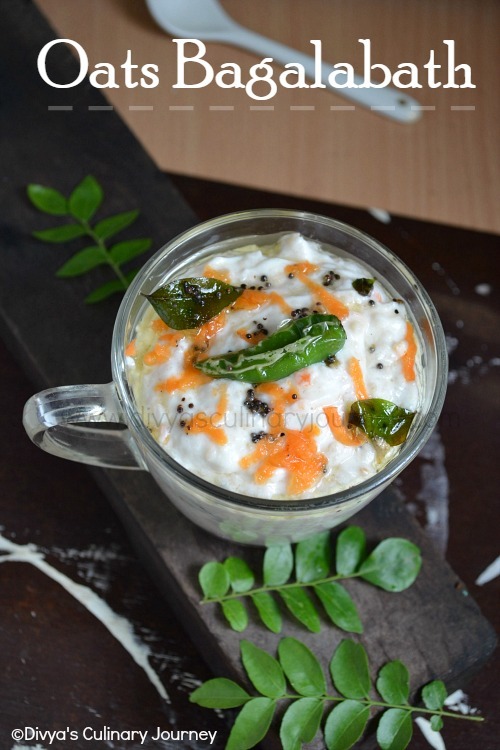 i have lot of pulverised almonds lying in the fridge, can make this. looks perfect and delicious. once i tried it but failed in that attempt :( will try this method.. I would do anything to get a piece of that :D Yummmmmmm! Cooking it in the MW is so easy! Looks delicious.. Very delicious, very tempting too..
Delicious,quick and easy...nice recipe dear! Burfi has come out perfect. Lovely clicks. Wow looks so fudgy!..love the texture..
wow..this looks sooo good!! YUMMY indeed!! Hi Divya, Thank God there is no event going on your blog.I can't take it when people just advertise about their blog event and does not even read what other has written in the post. 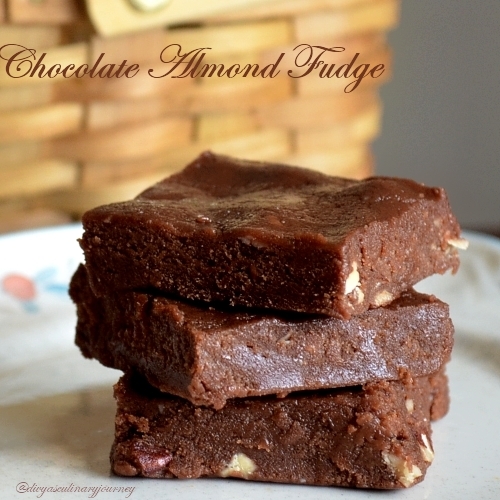 Your chocolate almond fudge looks really wonderful and I am glad you have not used any flour in it. My 17 year old can't wait if I make anything with chocolate, yours is just 5 years. thanks Divya for linking it to Kid's Delight! this is one I will definitely try...it looks so soft and delicious!! !